I can't believe it's taken me this long to try out Padella, but better late than never! We arrived at 3PM on a Monday and there was still a queue, albeit a relatively short one. It moved at a reasonable pace and we were seated within half an hour. I imagine the queues would be longer on weekends, so I would advise going at least 15 minutes to half an hour before it opens. 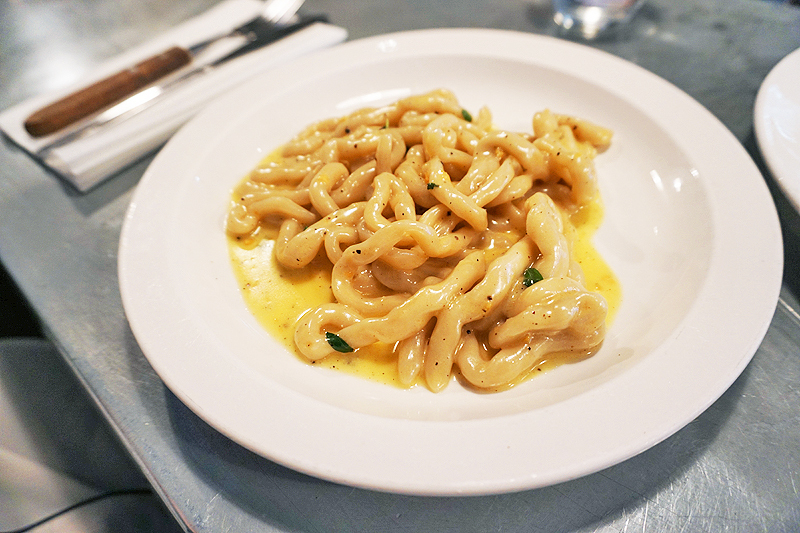 Padella is known for their cacio e pepe but unfortunately, that dish is no longer on the menu. I chose the pici because I thought it would be similar. I've never had the cacio e pepe before, so I can't compare the two. The sauce was thick, creamy, buttery and the acidity of the lemon was just right to cut through the richness of the sauce. The shape of pici resembles fat and thick spaghetti. It threw me off because I wasn't used to eating such fat spaghetti and it felt a bit like eating thick pieces of dough. However, I enjoyed the dish: it was really flavourful despite the simplicity of the ingredients. This was our favourite dish out of the three. The ragu sauce was moreish and contained a generous amount of beef shin, which was incredibly tender. 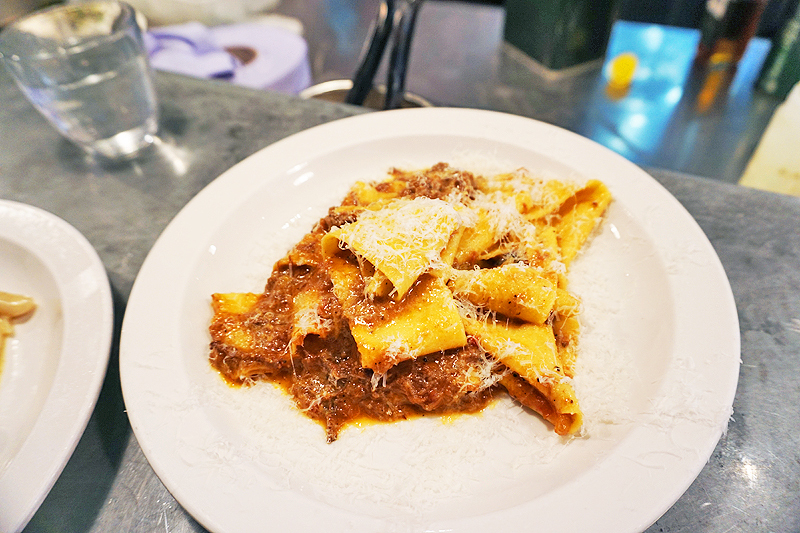 I thought the pappaerdelle, which is basically large, broad and flat sheets of pasta, went really well with the ragu sauce and beef shin. The dish was topped off with a generous heap of finely grated parmesan cheese, which added the right amount of cheesiness and saltiness. 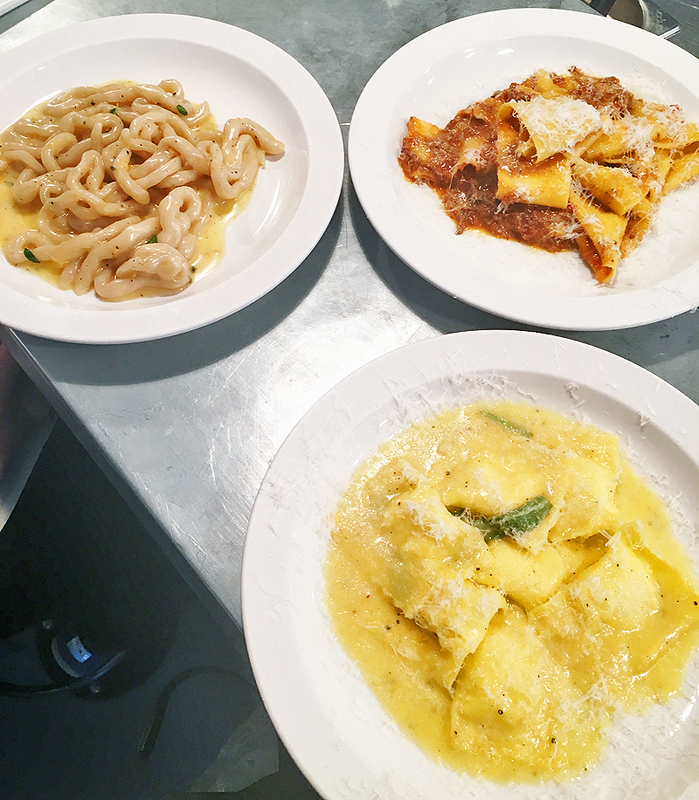 We couldn't decide between the ravioli and the fettucine with Cobble Lane Cured nduja, mascarpone and lemon. On the waiter's recommendation, we opted for the ravioli. However, it was our least favourite dish out of the three. The sauce was similar to the one for the pici, but much saltier and without the acidity of the lemon to reduce the saltiness. 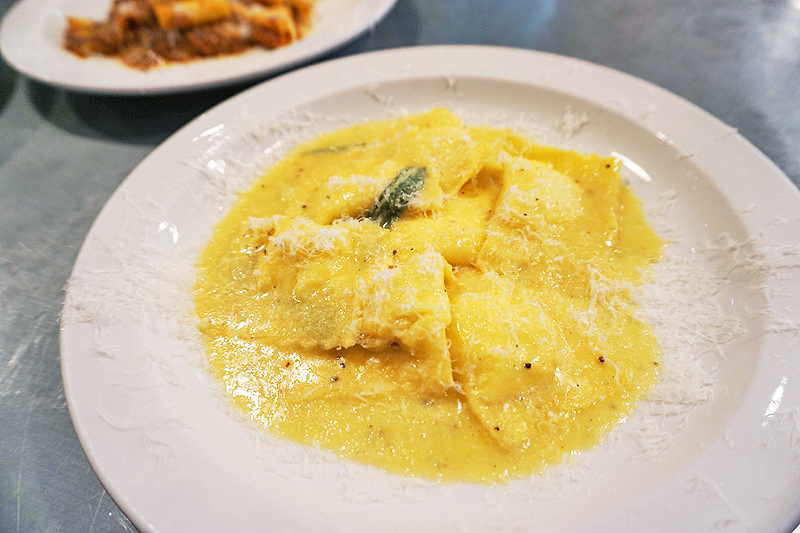 Unlike the pappardelle, the cheese worked against the ravioli's favour because it just made the sauce even saltier. On the other hand, the pasta had a nice chew and the ricotta filling was delicious. The portion sizes aren't big but they're not small either. The two of us shared three dishes and were stuffed at the end, so a dish per person would be fine unless you're very hungry. The prices are decent too, considering the quality of the pasta. Here comes the million dollar question: is it worth the queue? Yes and no. I would happily queue up to half an hour, but not more than that.